Residential — Welcome to CHRISTY/COBB, INC.
Christy/Cobb provides services for the new construction and renovation of homes, investigation of distress in structures and their foundations, as well as determine the causes in failure investigation. Christy/Cobb was responsible for the structural design and construction phase services associated with the design of a two story, steel framed, single family residence. The Architect produced contract documents based on information supplied by Christy/Cobb and the Owner acted as the Construction Manager. Christy/Cobb provided the structural design, contract documents and construction phase services for this new three story residence with many unique features. Christy/Cobb was responsible for the design and construction observation for a new mountain house and garage as well as the associated site retaining walls. 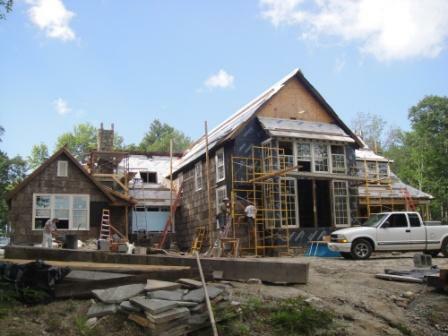 The main house has two occupied levels with timber frame elements in the main room and the garage is a seperate structure.